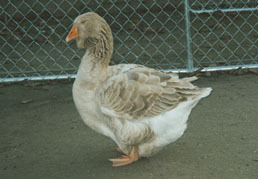 This Brown China gander displays the refined type and style of a Champion. 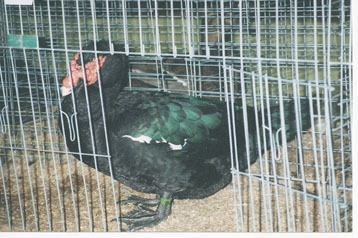 Black Muscovy drake with the massive size, color and caruncling desired in today's exhibition Muscovy. 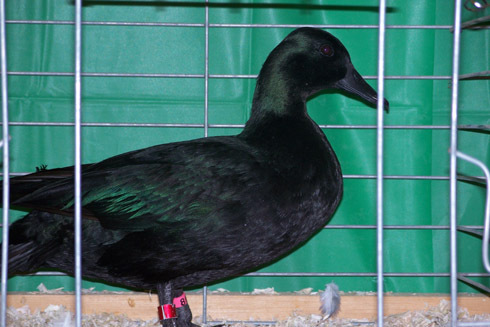 This male was overall Champion at a major waterfowl show. 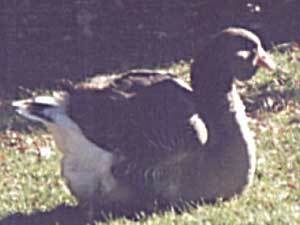 This Toulouse gander was five months old at the time of this photo. 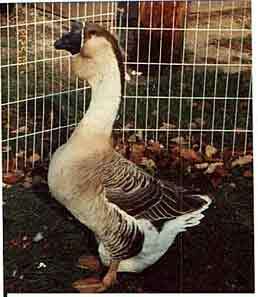 This African gander is near the ideal in type, size, and color. 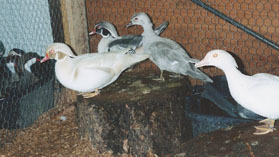 This group of Wood Duck mutations was exhibited by the Mahlums of Oregon at an All Waterfowl Show. 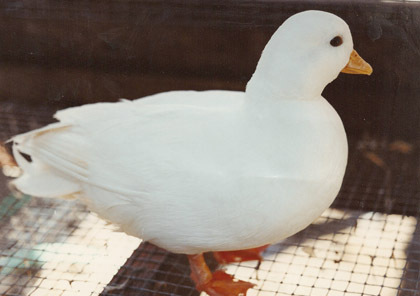 This was perhaps the finest White Call drake I ever judged. 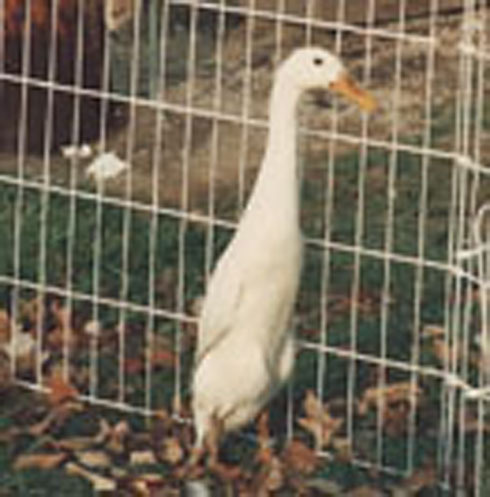 He was bred and owned by Jeff Corbett of CA. 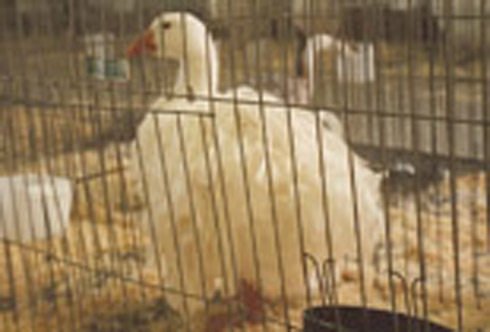 2007 East Indie female from Acorn Hollow- Twice named Champion or Reserve Champion Bantam Duck. 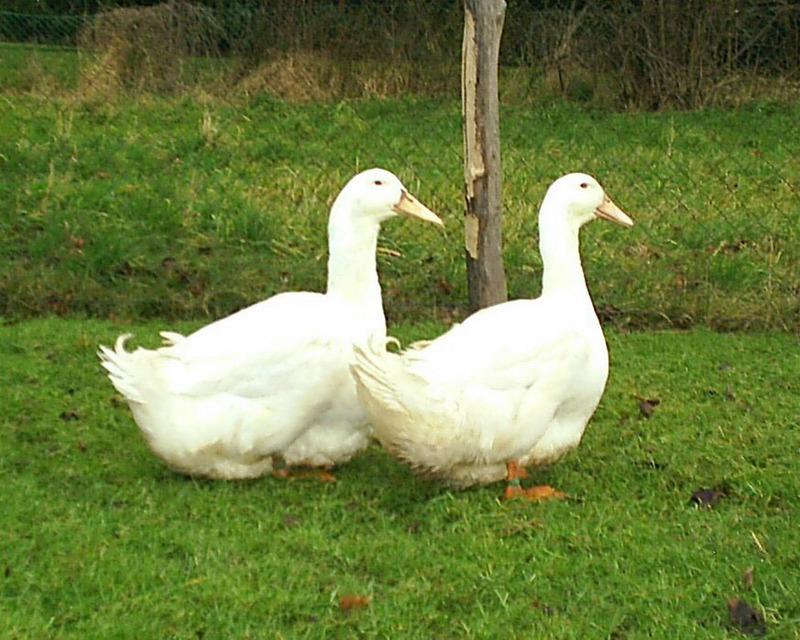 This was the best Sebastopol I ever saw. 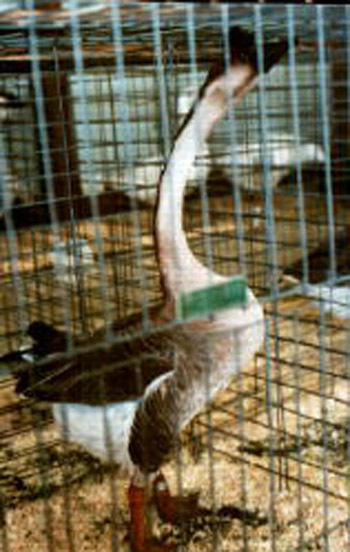 It was a gander shown at the Ohio National by the late Bill Garber of Canada. 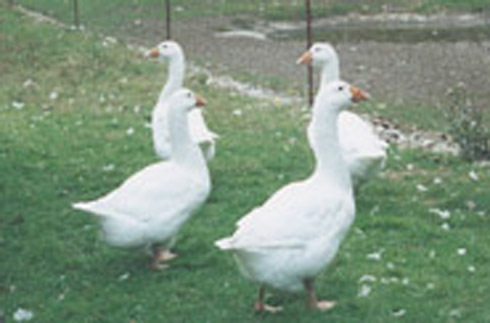 This flock of Embdens exhibits the clean underlines and rangy type typical of authentic Embdens. This was the finest female Toulouse ever raised at Acorn Hollow. She was less than six months of age when this picture was taken.